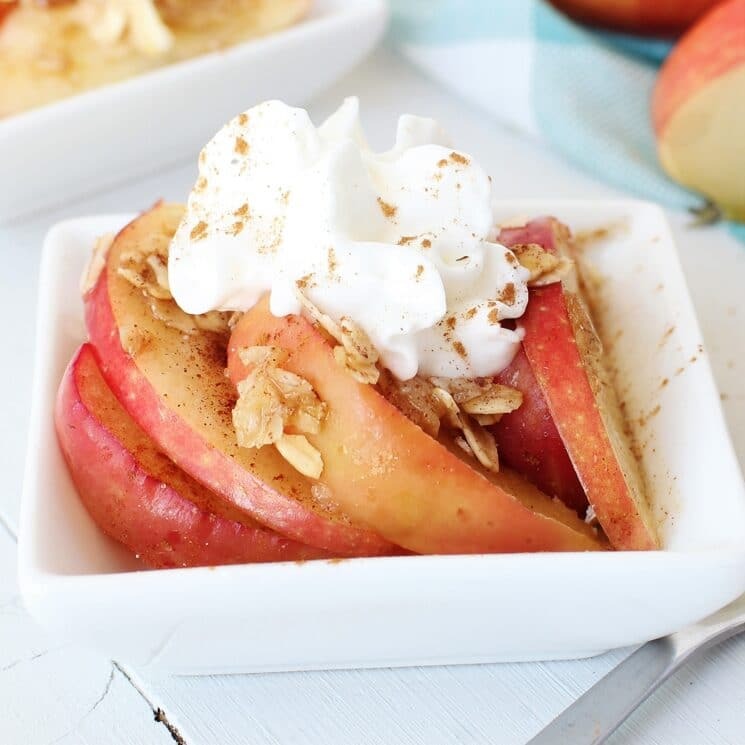 When you are looking for apple desserts, this 5 minute recipe is the only one you need! If you bought too many apples and they are on there way out, these Healthy Apple Muffins are a perfectly delicious way to use them! We spent many summers hosting exchange students from Japan. It was one of our family’s favorite things to do. In learning about their food culture, I was intrigued by the foods they consider to be dessert. From the area in Japan where our students traveled from, the consensus was that a typical after dinner treat was fruit! I loved knowing this about them. When I planned our meals for their time at our home, I looked up all the desserts I could that were made from fruit. 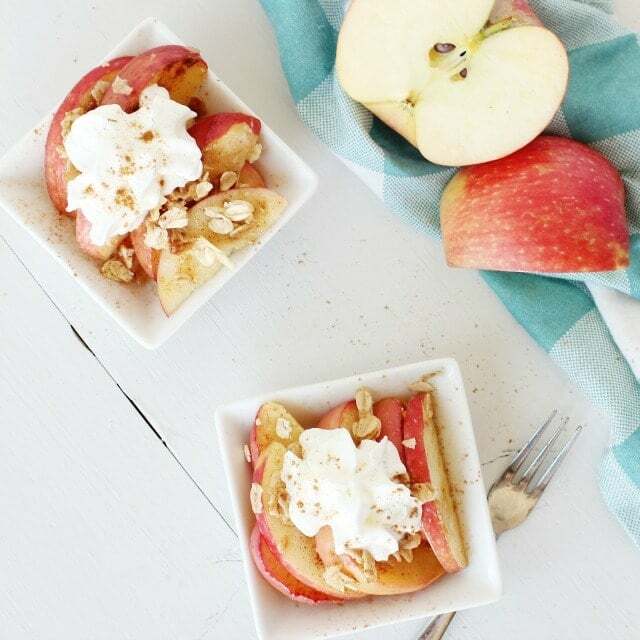 What are different ways to eat apples? Apple Juice – apple juice is one of the first juices kids drink, and is a staple among U.S. children! Dried apples– we take dried apples on a river trip every fall. They are so popular with the group we go with! 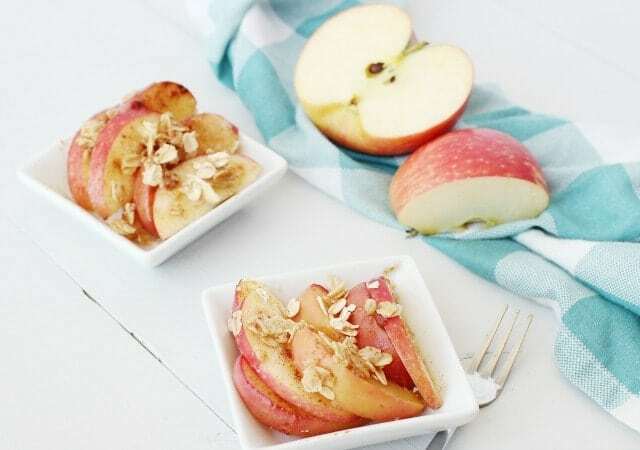 Cooked apples – like this dessert. Applesauce- another first food for kids. So easy to love because of it’s mild flavor and texture. 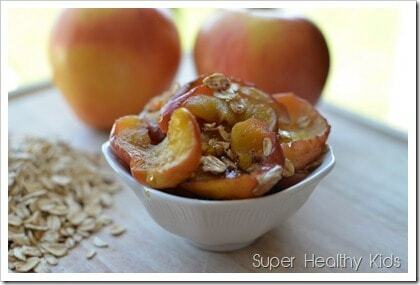 Raw apples– eat them right off the core! I know kids love this, because I often find half eaten apples in places my kids shouldn’t be eating! This recipe for a super simple dessert literally takes five minutes, tastes like apple crisp, and you can make just one serving for a quick indulgence! Although we used the microwave, because it’s simple and quick, we know many of you don’t like using it! That’s okay! An alternative would be to slice the apple and place in a covered baking dish. You could cook this at 350 degrees F, for about 20-30 minutes. 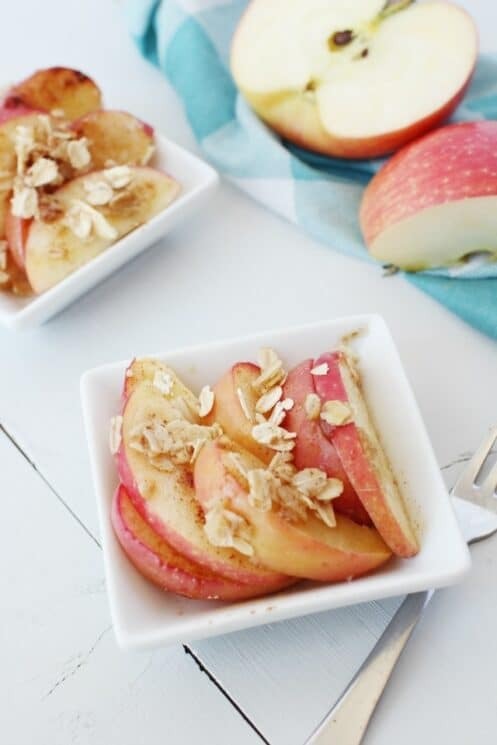 Pierce your apples with a fork; if they feel soft, they are ready! 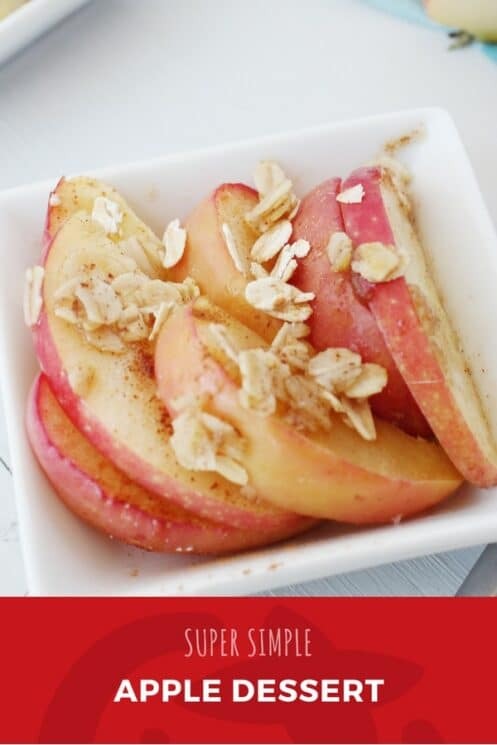 With apples full of fiber, antioxidants, and rich in “good carbs”, this dessert is a great substitute for something that might be void of nutrition for your after dinner treat. Give it a try and let us know what you and your kids think! And while this video has terrible sound, I first published this post 8 years ago, when my adorable daughter (who is about to be a senior) was 9 years old! She made this video for this recipe! Add all ingredients to a microwave safe bowl. Microwave on high for 1 minute. Take out and stir. Return to microwave for 3-4 more minutes, or until apples are tender. Hi, I don’t have a microwave, if I did this in the oven what temp would I use and for how long? Thanks. Of course not! In fact, we do it all the time without the brown sugar!! Good question Amy- I would bake it at 400 degrees, for about 15 minutes- just keep checking by poking the apples with a knife until they are tender, and the knife slides out easily.